Thomas Johnathan Sasser, 47, of Hopewell passed away in the early morning hours Thursday, February 7, 2019 at the Princeton Community Hospital, West Virginia after a Tractor Trailer Accident. He was born on Friday, February 12, 1971 in Zanesville, Ohio the son of Carl Lewis Sasser and Eileen Ethel Sims Bentley. Tommy was a lifetime member of Moose lodge #499. He graduated from Zanesville High School in 1989. Tommy was employed as a truck driver for New Bakery for 10 years. He enjoyed golfing and spending time with his family. 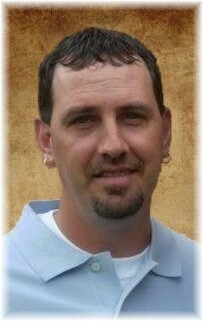 In addition to his mother and step-father, Eileen (Charles) Bentley, Tommy is survived by his significant other of 18 years, Lisa McCloy Newsom; a son Levi Hampp; a step-daughter, Blake (Shai Rittenhouse) Newsom; Daughter-in-law, Abby Newsom; his extended family who he helped raise, Korey Lenox, Konnor Fanning and Kameron Fanning; four siblings, Ronald Sims, Tina (Tim) Moody, Twins, Karl (Joyce) Sasser and Karla (Todd) Groves; Numerous nieces and nephews; and his beloved pet dogs, Stella and Ozzy. In addition to his father, Carl Sasser, Tommy was preceded in death by a stepson, Michael Newsom; an infant brother Carl Sasser; and his Grandparents. Visitation to be held 2-4 P.M. and 6-8 P.M. on Monday, February 11, 2019 at the Bryan and Hardwick Funeral Home. Funeral service will be held at 12:00 P.M. on Tuesday February 12, 2019 at the Bryan and Hardwick Funeral Home with Pastor Terry Rowland officiating. Burial will conclude at the Zanesville Memorial Park. The Bryan & Hardwick Funeral Home, 2318 Maple Ave. Zanesville is in charge of the arrangements. To share memories and condolences with Tommy’s family please visit www.BryanHardwickFH.com.